Today’s Dirty Deed: The Pumpkin Spice FrankenPancake! What is a FrankenPancake, you might ask? Well, it’s a mashup of a couple different recipes that ultimately provided one of the tastier pancakes that Laura and I have eaten – ever! I started with a half a can of leftover pumpkin mix that Laura used to make me some Pumpkin Cinnamon Rolls for my birthday (yum! give them a try), a desire for pancakes and, more specifically, a desire for buttermilk pancakes. The interwebs failed us on a recipe for all of the above, but I figured “what the hell:” we have a buttermilk pancake recipe from The Joy of Cooking that is known to be good and we also have a good recipe for pumpkin spice waffles from Epicurious, so how hard could it be to mash them up. The answer: dead simple! 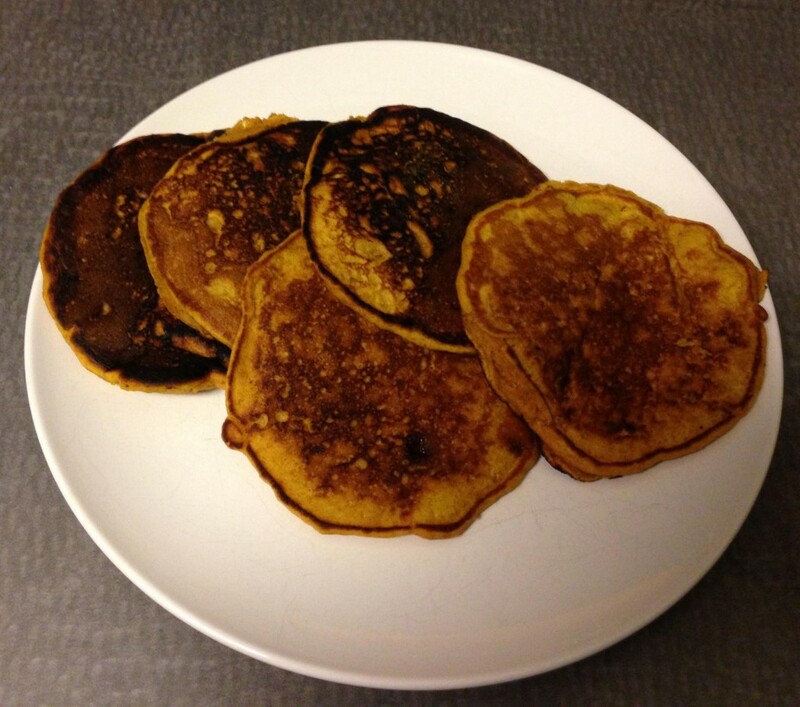 This entry was posted in Cook, Eat, Marlow and tagged Breakfast, Pancakes, Pumpkin by marlow. Bookmark the permalink.